Healthy Caribbean foods that you should try if you’re in this part of the world. I believe that many of you want to have a house in the Caribbean or just to go there for a few days of rest. If you decide and have the opportunity to go one day, I will share what dishes should necessarily try the Caribbean cuisine. Caribbean cuisine is not known with dishes prepared with seafood, but also a wealth of recipes that use exotic fruits that you can only find there. Caribbean cuisine is very diverse and rich flavors. This is due partly to the history of these islands and the influence of different nations settled to live there. Many Caribbean has long been a colony of the British, Spanish, French and Dutch. Influence on the culinary traditions of these islands have also descendants of the inhabitants of Africa, who at first were brought in as slaves. And so it is a mixture of the kitchens of many nations and from old-timers who live on the islands. Now I will brief you on what you eat people in the Caribbean. First, I will pay attention to the sauce. Residents of the Caribbean sauces add to the meat, vegetables and seafood, whether grilled or fried. Some of the sauces that use people there first have to marinate the meat, because it is their fundamental principle in cooking. Many famous are thick sauces or dips – made are based on mayonnaise or yogurt. Caribbean sauces known that they shall combine different spices in an incredible way. 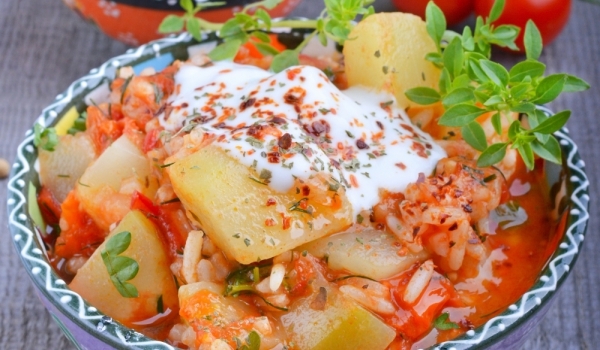 Generally in their sauces can find a combination of sweet fruit and hot spices and coconut milk and rum. The main vegetables grown in the Caribbean are tomatoes, garlic and onions and almost will not find a dish in which they do not attend. Even if you can find a dish that much you will be amazed – banana with mango and onion. Tomatoes are mostly used for sauces and soups, and Puerto Rico have a traditional dish that is very similar to our – rice with tomatoes. You know that the Caribbean island area and is therefore not surprising that there you can find all kinds of seafood. 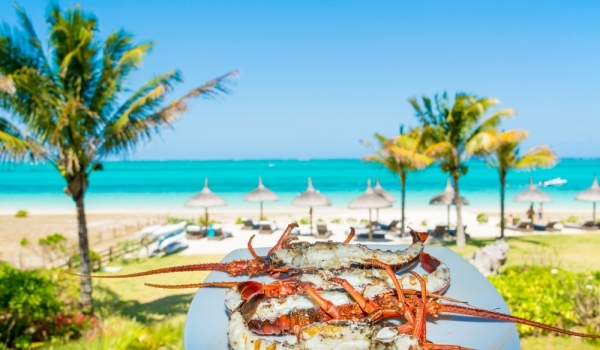 Unlike other places where eating seafood is relatively rare in the Caribbean they are present on every table – that of the richest to that of the poorest. And so came the rum and cocktails. You know that these islands are well-known for its cocktails. Their base is rum. The most famous cocktails prozlizat Caribbean are Mojito, Pina Colada, Cuba Libre and daiquiri. Caribbean are home to Roma and in every part of this island have their own recipe for this alcohol. It is widely used in confectionery – to make creams, cakes and cakes.